Airports aren’t always known for their energy efficiency, but Norway is planning to change that. 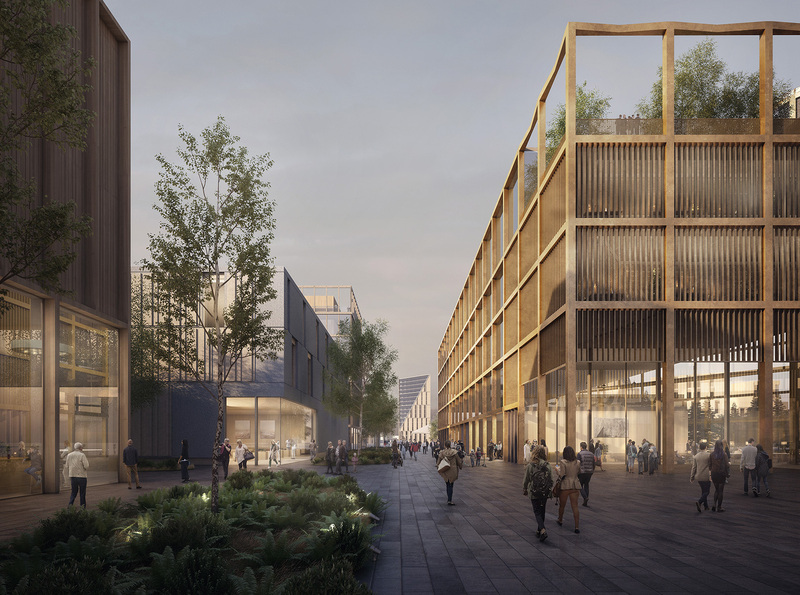 Norwegian architectural practices Haptic Architects and Nordic – Office of Architecture have announced plans for a sustainable smart city, powered entirely by renewable energy, near Oslo Airport. The complex will be the world’s first energy-positive airport city and it will have the capacity to sell surplus energy to surrounding buildings and communities. Plans for the Oslo Airport City line up with the country’s shift from reliance on fossil fuels to renewable energy and its readiness to embrace green technologies. For example, the city will serve as a testing ground for technology-driven urban design, including the incorporation of self-driving electric cars, automatic street lighting, and smart technology for services such as mobility, waste and security. “This is a unique opportunity to design a new city from scratch,” said Tomas Stokke, director and co-founder of Haptic Architects. 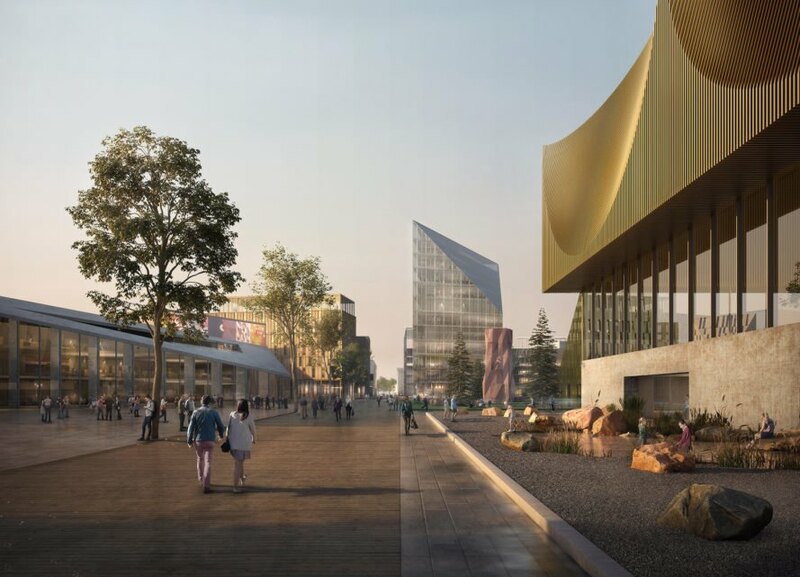 “Using robust city planning strategies such as walkability, appropriate densities, active frontages and a car-free city center, combined with the latest developments in technology, we will be able to create a green, sustainable city of the future. 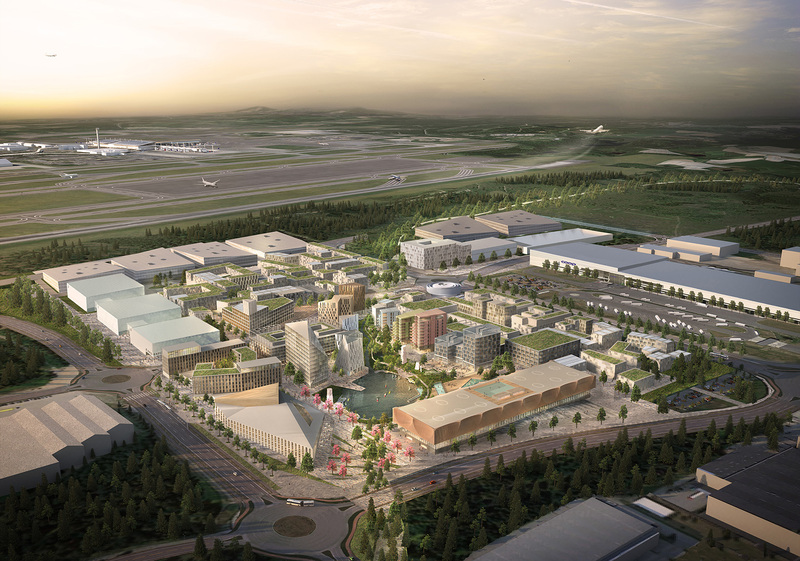 Capitalizing on the central location in northern Europe, a highly skilled workforce and proximity to an expansive and green airport, OAC has all the ingredients needed to make this a success,” he added. The city will be car-free, and it will provide many green spaces for the airport’s growing workforce, which is expected to increase from 22,000 to 40,000 people by 2050. The project received outline planning consent for development and is slated for completion in 2022. 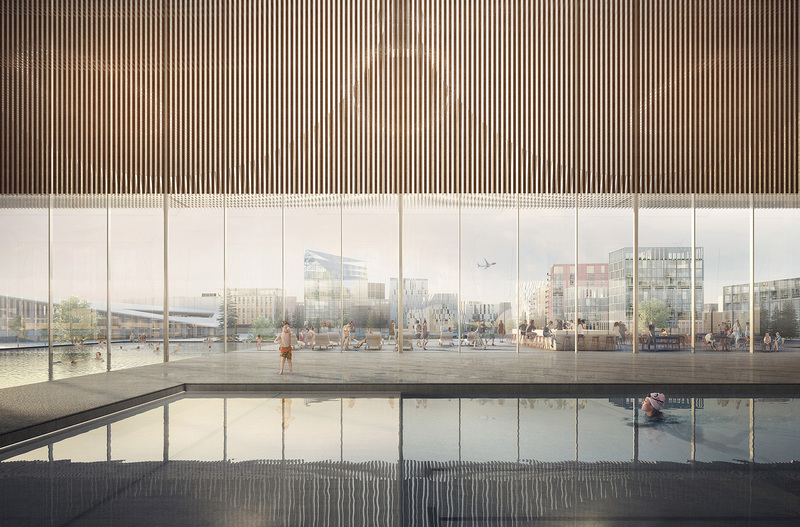 Norwegian architectural practices Haptic Architects and Nordic – Office of Architecture have announced plans for a sustainable smart city, powered entirely by renewable energy, near Oslo Airport. 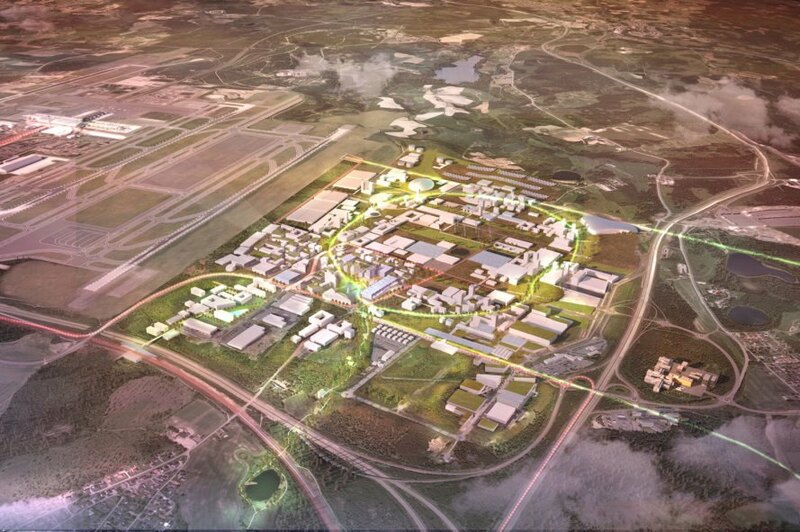 The complex would be the world’s first energy-positive airport city and have the capacity to sell surplus energy to surrounding buildings and communities. 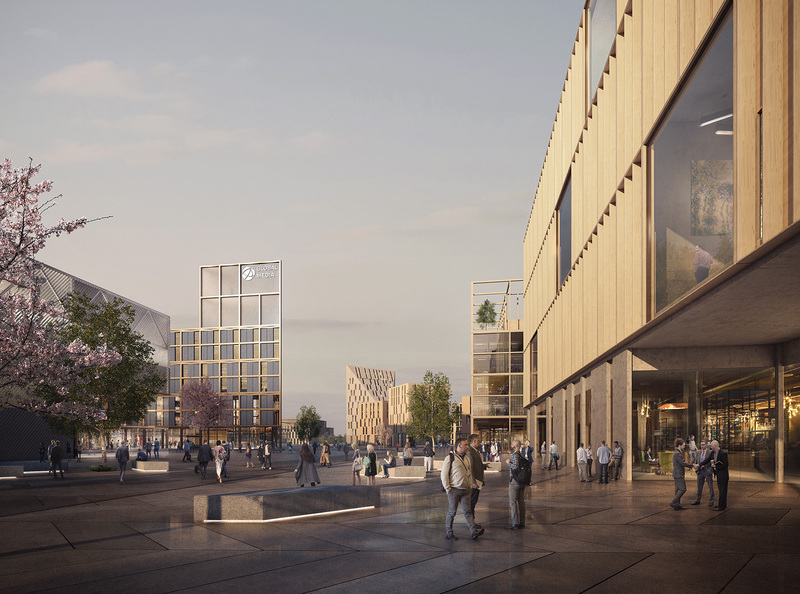 The Oslo Airport City will become a test-bed for a technology-driven urban design, with plans to incorporate driverless electric cars, auto-lighting and smart technology for services such as mobility, waste and security. Plans for the Oslo Airport City line up with the country’s shift from reliance on fossil fuels to renewable energy and its readiness to embrace green technologies. The city will serve as a testing ground for technology-driven urban design, including the incorporation of self-driving electric cars, automatic street lighting, and smart technology for services such as mobility, waste and security. The city will be car-free and provide many green spaces for the airport’s growing workforce, which is expected to increase from 22,000 to 40,000 people by 2050. The project received outline planning consent for development and is slated for completion in 2022. Airports aren't always known for their energy efficiency, but Norway is planning to change that. 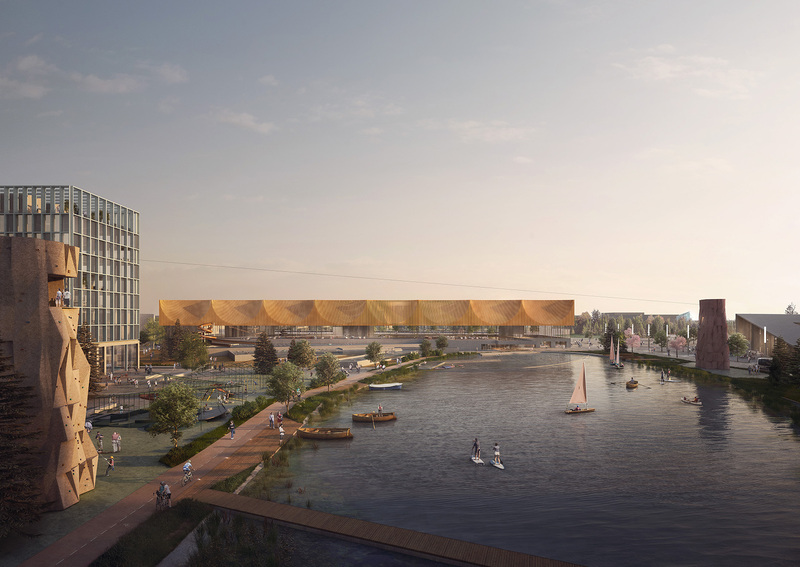 Norwegian architectural practices Haptic Architects and Nordic – Office of Architecture have announced plans for a sustainable smart city, powered entirely by renewable energy, near Oslo Airport. The complex will be the world’s first energy-positive airport city and it will have the capacity to sell surplus energy to surrounding buildings and communities.